Joining an oil buying group is potentially a great way to minimise the effect of increasing domestic oil prices. 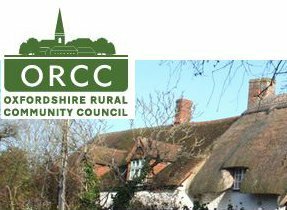 One community group in Oxfordshire, the Oxfordshire Rural Community Council, set up its own oil club to help support the rural community, and is broadening the reach of the scheme because of its success. Members are reported as saving about 10p/L in this bulk-buying scheme (source: BBC Oxford), but the ORCC Trading Ltd's website states that "our members have saved around £40 compared with the market average price for 1000 litres of heating oil". The going rate for oil is 56p/L (£560 for 1000L), so a £40 saving brings the rate down to 52p/L - a saving of only 4p/L. At least this isn't as bad as the experience in Suffolk (read Bulk Buying is Pointless in the Diss Express). There is also an annual fee of £20 to take into account. If you use heating oil, joining an oil club could be a great way to save money. Often, the vehicle that delivers your oil will make a separate journey for every property in your area. Joining an oil club allows properties to be grouped together, meaning oil companies can deliver to several homes in one round. Members can save up to 10% on their oil bill, and because the delivery vehicle makes fewer journeys it's better for the environment. See if there's an oil club near you at citizensadvice.org.uk/oilclubs. If not, it's easy to start your own. You just need a few people - about 20 is a good start. You'll need to nominate a co-ordinator who will approach oil companies and ask them what prices they can offer your club. It's possible to negotiate discounts depending on the size of the group and the time of year that you place the order. The local post office or the village shop could help by advertising delivery dates, and there are plenty of ways to find new members: village notice boards; community groups; the local press; your nearest citizen's advice bureau. Read more at the Oil clubs information page, where you'll find a "Best Practice for Oil Buying Groups" guide and a "Tips for Co-ordinators" document. They also have a Find an oil club near me page. How can dcc spray lorries white, have several companies work in the same office just answering phones with different company names, & the oft say nothing about it? We can all see what's coming next: condense the data & lots of the companies will go out of buisness & bingo, who owns the market then?